Welcome back to high school but this winter high school is not only for the students but this winter Gangsters Boys are in the school too. 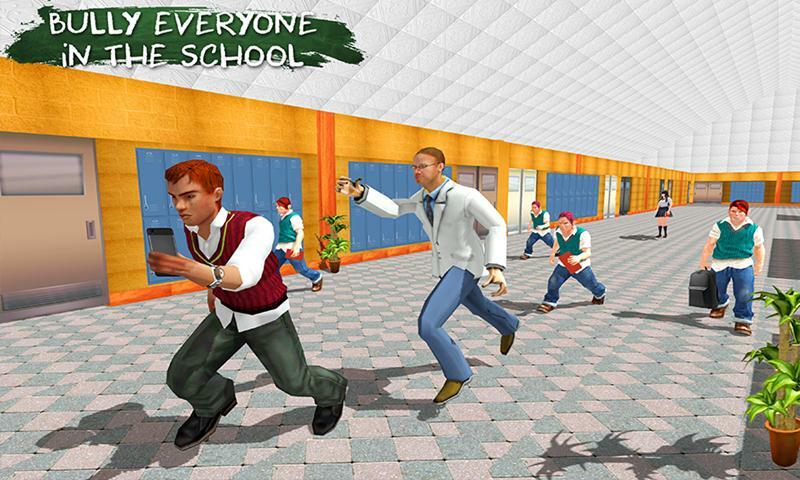 American Gangster in High School is a simulation game with the most dangerous gangster boys in the high school. These Gangster boys will be a trouble to the school and other students. Principle knows the truth but can’t do anything about it because of the lack of evidence. Be careful for getting caught cause this time will be the last time. 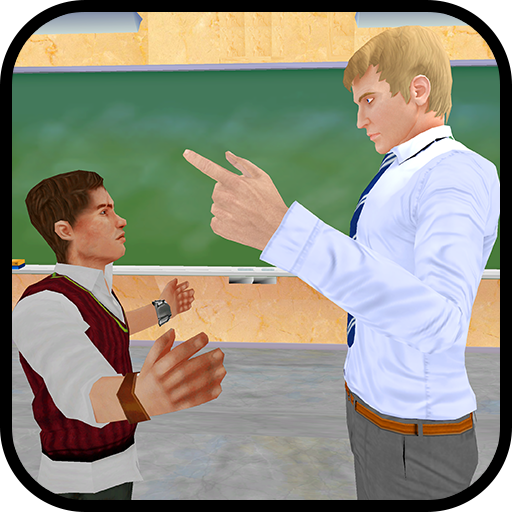 Gangster boy not only tease the teachers but also steal form them and other students in this thrilling simulator. 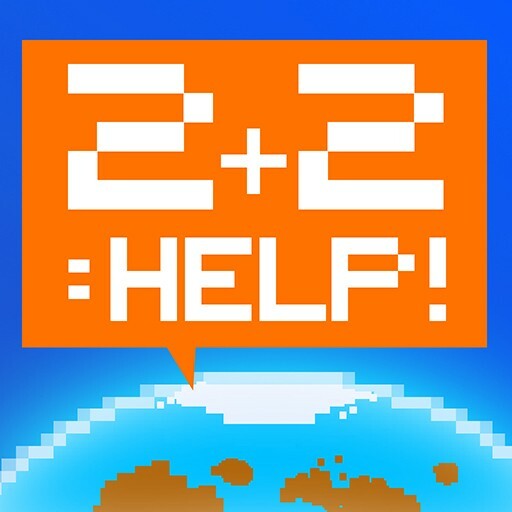 Game is easy to play and the most amazing to pondering around in 3D High school environment that will blow up your mind. In American Gangster in High School your dream is going to become true of being the bully student not being bullied by the other student. All other student are afraid of you as you are the gangster of the high school. 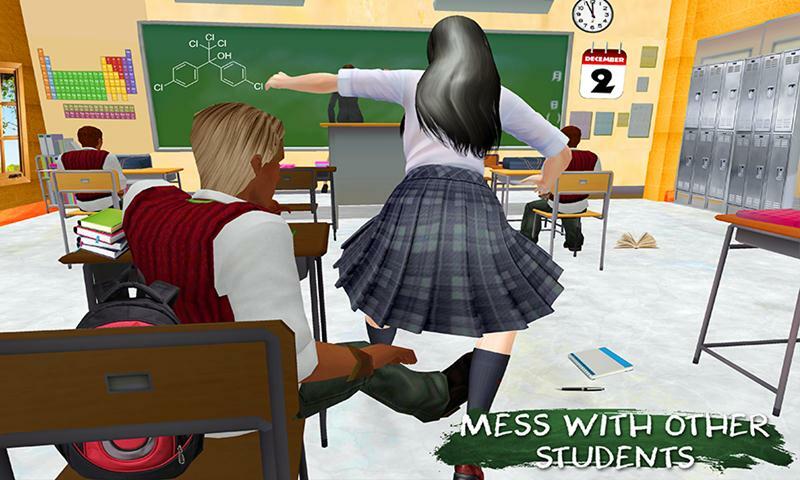 American Gangster in High School is amazing game with interesting gameplay where you play as bad boy in the school and tease the students with the help of different bad techniques. 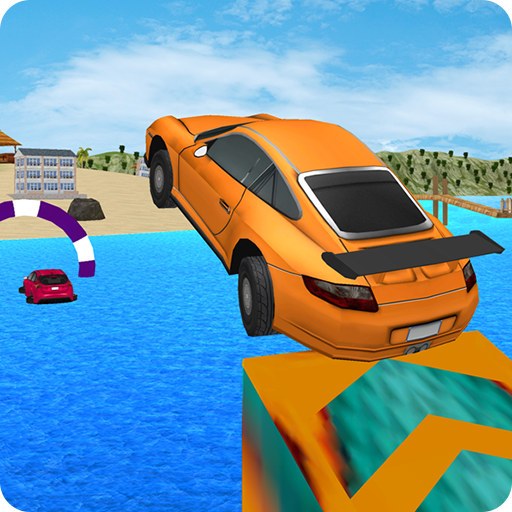 You can choose one of the three gang members Jake, Michael or Paul. All three are of the same category and can create some serious trouble. Stealing books from other classes of cheating in the exams is only matter of seconds. You are the leader of the American Gangster bully boys in High School. You are always bulling other student. Make sure you do it in absence of the teachers. Even you also need to tease the teachers in the class so they don’t teach much lesson in the class. Make sure to be quite when they turn back. Gangster boy was not brilliant students so you make a plan to steal the papers from the principle office. The principle gets the news and now he is after you. Make sure principle doesn’t see you, if he sees you are out from the high school. 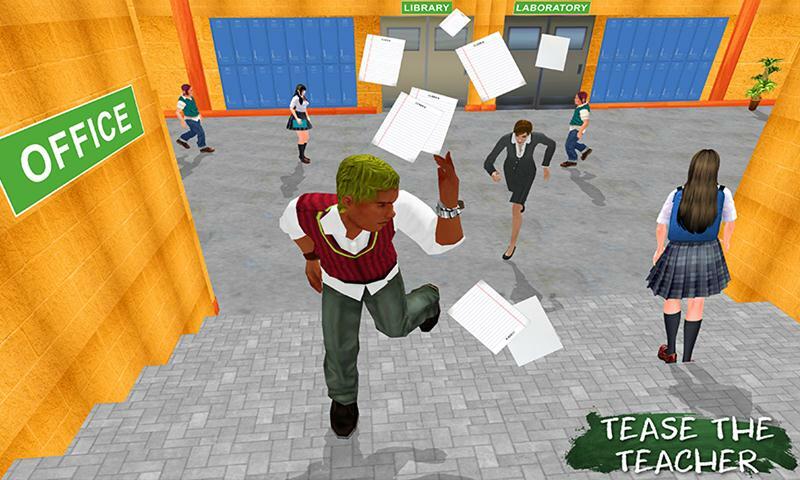 • 3D High School Environment with the most realistic School Simulation. American Gangster in High School is specially designed for all High School Lovers and gangster boy fans. Steal exam paper from office and sells them in high schools. Make your dreams came true to become the bad Boy of your high School. Apart of this Try to be a bad Boy just like the Gangster Boys of the High school. Sometime it’s good to be bad.